The UAE Ministry of Environment and Water (MOEW) has issued a ministerial resolution prohibiting printing on non-biodegradable plastic carry bags. Environment ministry officials said that shops were not allowed to print commercial names, products names, advertisements, and anything else on non-biodegradable plastic bags, under the new resolution. Dr Rashid Ahmad Bin Fahad, the Minister of Environment and Water, has issued a ministerial resolution No.238/2010 on Tuesday in this regard. 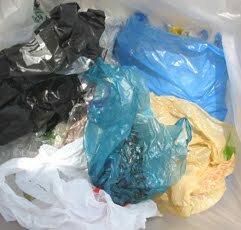 The decision comes in line with the ministry's programmes for environmental security by improving awareness and implementing actions to gradually reduce consumption of plastic bags in the country in order to ban such products completely by the year 2013, according to a senior MOEW official. Dr Mariam Al Shinasi, Executive Director of Technical Affairs at the MOEW, said that the resolution 5/77 of 2009 by the Ministerial Council for Services has approved prohibiting the use of plastic bags and other plastic products that are non-biodegradable and do not comply with the approved standards, starting from first of January, 2013. “The resolution number 5/376 of 2009 has also listed the dangers of printing on non-biodegradable plastic bags” she added. According to her, the ‘UAE free of plastic bags' initiative was part of the ministry's objectives to create awareness on the hazards of plastic bags on the environment. Dr Al Shinasi explained that all commercial and industrial printing on plastic and biodegradable bags has been prohibited. Names of stores and products or advertisements for shops and commercial centres and other service providers cannot be printed on such bags hereafter in the UAE. 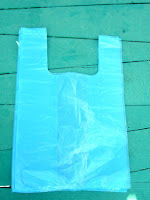 "Plastic bags do not degrade very easily, remaining in the environment for a very long period of time. It is also responsible for 50 per cent of the trash that defame the beautiful streets of the UAE," she said. "The decision is expected to be significantly protecting the country's environment and public health and existence of animals as the plastic bags pose serious danger to them," she pointed out. The environment minister has ordered all manufacturers and suppliers of plastic bags to strictly abide by the application of revised specifications and standards in production. Suppliers of carry bags also must adhere to the same specifications. Al Shinasi noted, the battle against plastic bags has been announced to inspire the country's residents to completely discard the habit of plastic bags usage, and protect both human and animal life. “The MOEW had launched a three-year long campaign titled "the UAE free of plastic bags" in October 2009, aimed at reducing the use of plastic carrier bags in the UAE, and a complete ban on using the bags from the year 2013,” she said. According to earlier statistics released by the environment ministry, the UAE uses about one billion plastic carrier bags per year and the plastic material accounts for 10.9 per cent of the total amount of household waste in the country. "About 8,000 tonnes of plastic film, used as the material to make bags and wrapping them, have been produced every month in the country," the ministry statistics revealed. 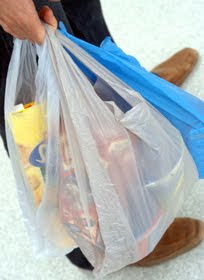 "A recent study has revealed that plastic bags cause death of 50 per cent of the deaths of camels in the UAE. The plastic bags had caused the deaths of a large number of animals both on the land and in the sea, when they swallowed the bags," said AlShinasi. She said, "Moreover, the plastic products challenge the existence of above 200 different marine species, including fish, seals and sea turtles, dolphins and whales. A number of marine organisms have died due to the toxic impact of the plastic bags, which account for 10 per cent of the total industrial waste ending up in the sea." Ministry of Environment should make stick to stick rule for employment.